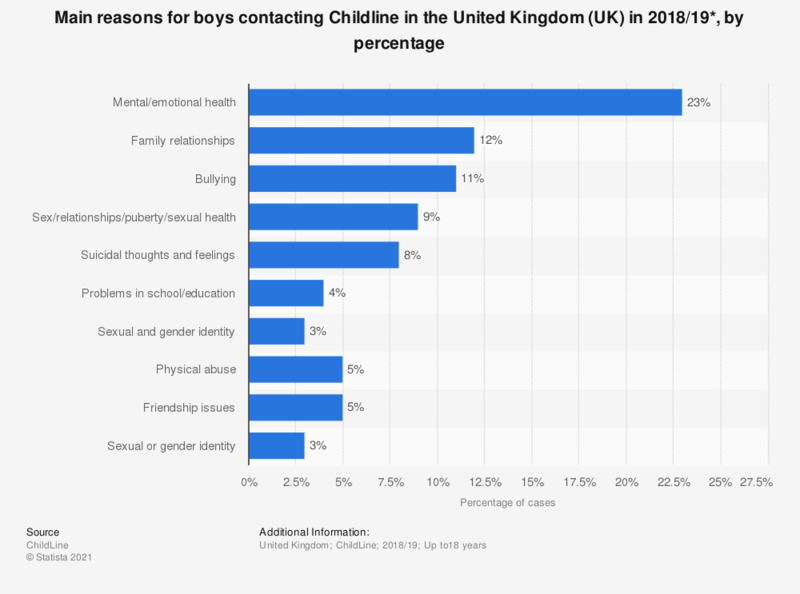 This statistic shows the main reasons for boys contacting Childline in the United Kingdom (UK) from April 1, 2017 to March 31, 2018. The most common concern identified, at 18 percent, was mental or emotional health, followed by issues regarding family relationships at 12 percent. ** 'Young person's own behaviour (abuser)' refers to a case where the young person contacting Childline is concerned about being an abuser.